How much is Malcolm Glazer Worth? Malcolm Glazer Net Worth: Malcolm Glazer was an American businessman and sports team owner who had a net worth of $4.6 billion dollars. Malcolm Glazer was born August 15, 1928 in Rochester, New York where he briefly attended Sampson College before he inherited his father's wholesale jewelry and watch repair business in 1943. In 1956, he expanded into real estate investing in single-family homes, duplexes, and commercial buildings in Rochester. He eventually moved into specializing in the ownership and management of mobile-home parks mainly in Florida. In 1963, he bought the National Bank of Savannah in upstate New York. In 1973, he bought the first of five nursing homes he was to own, the West Hill Convalescent Center in Hartford, Connecticut. In 1976, he purchased three television stations for $20 million including WRBL in Columbus, Georgia. 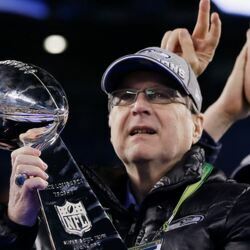 In 1984, he founded First Allied Corporation, a holding company for his various endeavors where he served as president and chief executive officer. First Allied has invested in a diverse portfolio of international holdings and public companies including: First Allied, Houlihan's Restaurant chain, Harley Davidson, Formica, Tonka, and Omega Protein. 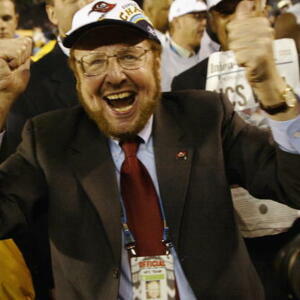 Glazer purchased the Tampa Bay Buccaneers franchise on January 16, 1995. Glazer acquired ownership of the soccer club Manchester United in a $790m takeover by gradually buying out United shareholders between 2003 and 2005. Glazer died aged 85 on May 28, 2014, as announced by his team, the Tampa Bay Buccaneers. 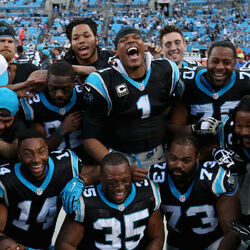 His wife and children retain control of the Tampa Bay Buccaneers and Manchester United as well as First Allied.